Friday agenda includes Mexican wolf update; Saturday agenda includes consideration of commission orders for elk, pronghorn and population management hunts. The next Arizona Game and Fish Commission meeting will be held on Dec. 5-6 at the Arizona Game and Fish Department, 5000 W. Carefree Hwy., Phoenix. The meeting begins at 8 a.m. Friday morning with a call to the public, followed by consideration of several consent agenda items (see agenda). The Commission will also hear: stakeholder resolution workgroup recommendations to reduce and fund operation and maintenance costs for Heritage acquired properties; the status of state and federal legislation; and an update on the Customer Portal Project. The meeting resumes Saturday at 8 a.m. with awards and recognition, followed by a dedication ceremony for the New Game Ranger Memorial Trail, consideration of proposed commission orders for elk, pronghorn antelope, and population management hunts for the 2015 season, and consideration of the hunt permit-tag application schedule for the 2015 elk and pronghorn antelope hunts. Members of the public may attend the meeting in person or view it via webcast at www.azgfd.gov/commissioncam. On Friday only, members of the public may view the meeting from any one of the Department’s six regional offices via videoconference. People attending the meeting (or viewing it via videoconference from a regional office on Friday) who wish to speak to the commission may submit a Blue Card (Speaker’s Card). The ability to speak to the commission for those viewing the webcast is not available. The Arizona Game and Fish Commission is the policy-setting board overseeing the Arizona Game and Fish Department. Since its inception in 1929, the Commission has served the interests of science-driven wildlife conservation for more than eight decades. For a complete agenda, visit www.azgfd.gov/commission. 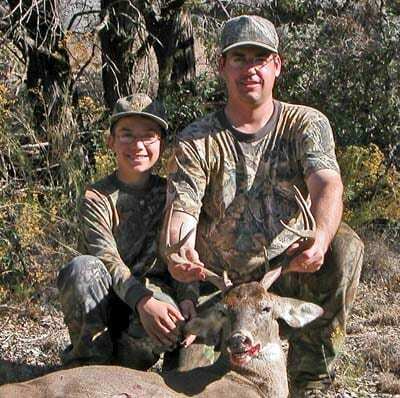 The Arizona Game and Fish Department has trust responsibility for managing more than 800 native wildlife species – the most of any inland state – for current and future generations of Arizona citizens. www.azgfd.gov/h_f/northamericanmodel.shtml.